We Welcome 2017 With A Bang! If this a sign, it looks like 2017 will be a good year for those applying for visa to Canada. 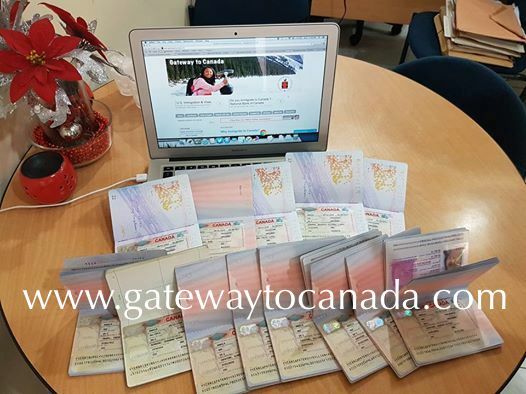 Just the other day, we received quite a number of visas from Manila Visa Office for our clients. These are clients who applied for Permanent Resident Visa as well as study visa. Canada's current immigration programs isn't the same like it used to be 10 years ago, where luck somehow plays a role. Today, only serious minded applicants will be able to make it. If you are not highly motivated to immigrate to Canada, you will not get your visa. Dreaming for a quality life is one thing. Doing something to make it happen is another. It is not mandatory to hire Immigration Consultant for your Visa Application. If you want to apply on your own, visit http://cic.gc.ca. We are not a recruitment agency for work abroad. If you are looking for employment opportunities in Canada, use our Canada Job Bank Search Tool.